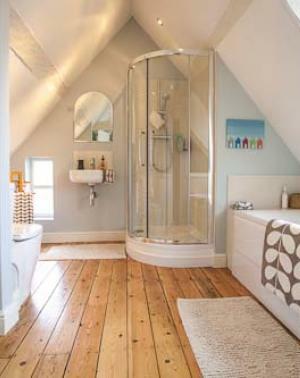 Initially this room was a small, dark en-suite, the client wanted the room made bigger with more natural light. 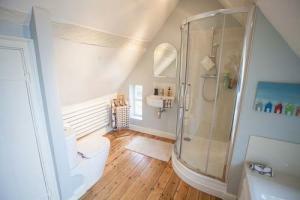 In order to do this the existing stud wall was removed with listed planning approval. A new wall was built to include the Georgian dormer window into the room. Two obscure glassed bespoke triangular windows were built into the new stud wall so all rooms were flooded with natural light. 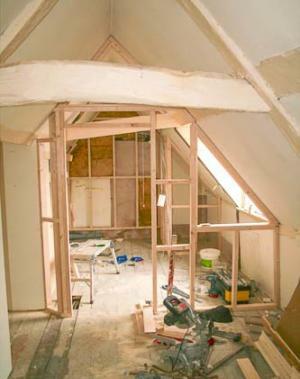 False stud walling was built on the gable end wall, this concealed pipes whilst enabling much improved insulation. 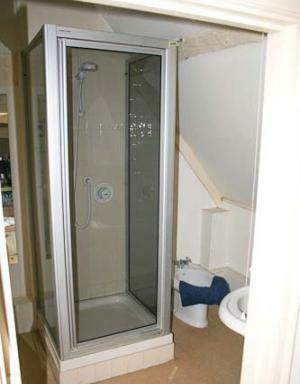 Another false wall was built to provide a corner for the quadrant shower and end wall for the new bath.